1. Why did Jesus no longer appear in public after He had raised Lazarus? 2. Why did the Wise Men not return to their homeland by the way of Jerusalem? 3. Why did the Roman captain send Paul from Jerusalem to Caesarea? 4. Why are Christ’s true followers hated by all men? 5. Why did Jesus not perform many wonders in His hometown? 6. Why did Herodias feel so bitter toward John the Baptist? 7. Why did Peter begin to sink when he attempted to walk on the water? 8. Why did Jesus refuse to send the multitude away hungry? 9. Why did Jesus severely rebuke Peter after He had announced His death? 10.Why did Jesus on one occasion big Peter go fishing by himself? 11.Why did Jewish elders beg Jesus to heal a centurion’s sick servant? 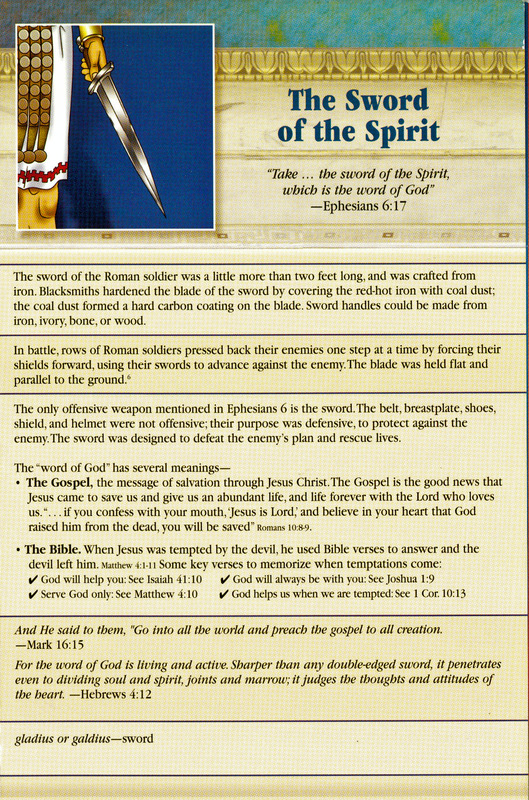 12.Why did the Roman solder not break the legs of Jesus on the cross? 13.Why did the Jews persecute Jesus and seek to kill Him? 14.Why did Jesus big Zacchaeus to come down out of the tree? 15.Why did the Jewish leaders refuse to enter Pilate’s judgment hall? Some years ago several of us had the opportunity to go on a mission trips with Pastor Bohde in Thailand. In addition to going over to China we went to a refugee camp of the Karen tribe who came across from Burma to Thailand. There are maybe 1.2 million Karen in Burma(Myanmar) and 300,000 in Thailand. If you mention the name of Adoniram Judson to these Karen, they will likely know it. The large number of Karen who are Baptists today dates back to Judson’s work in the early 1800’s. Adoniram Judson was the first American foreign missionary. And accompanying him was Ann Hasseltine Judson(1789-1826). A good wife who can find? She is far more precious than jewels. Solomon knew what he was putting down in Proverbs what with his problems with women. Adnoniram Judson found the good wife in Ann. Adoniram Judson wrote to his father-in-law in asking for the hand of his daughter, “I have now to ask whether you can consent to part with your daughter early next spring, to see her no more in this world; whether you can consent to her departure to a heathen land and her subjection to the hardships and sufferings of a missionary life; whether you can consent to her exposure to the dangers of the ocean, to the fatal influence of the southern climate of India, to every kind of want and distress, to degradation, insult, persecution, and perhaps a violent death. Can you consent to all this, for the sake of Him who left His heavenly home and died for her and for you?” This all happened to her except the violent death, though death was relatively at an early age, 37. Ann wanted to marry a missionary and she did. Even though she was from a well-to-do family in high society, she wanted to help to spread the precious Good News of the Savior to foreign lands. In 1812 when war was coming to America they left as emissaries of the Prince of Peace to the Far East. Finally, they began work in Burma. She formed a society of women which met on Sunday and prayed and read Scripture. Among her literary work she produced a catechism. Having learned the Burmese and Siamese languages with her husband she was a valuable assistant in translation. Among the various ways in which she showed her love for the Burmese was in teaching a girls’ school. She saw these children and women as ones who needed the Shepherd’s guidance. The most trying time for her was not just the cholera, smallpox, spotted fever and liver problems. It was when her husband was imprisoned at the outbreak of war between Burma and the British. Though they were Americans they were treated as spies for the British. As her husband went off to prison for 18 months all furniture and clothes was taken from their house. Guards were posted at her house treating her roughly. As our Lord has beckoned us to take up our cross and follow Him, she did. The very poignant picture we have of her is going to the prison and pleading for her husband over and over. She would come with her baby in arms and with an adopted native child at her side. The prison did not provide food, so she had to get that and bring it to him. The Burmese moved Judson and she had to trek after him many miles to another prison. She wrote, “How dark, how intricate the providence which now surrounds us! Yet it becomes us to be still and know that He is God who has thus ordered our circumstances.” This is what we call faith. She stood by her man through these long months until his release. When her husband was imprisoned, she not only helped him but her loving concern went to other prisoners. One wrote the following, “Mrs. Judson was the author of those eloquent and forcible appeals to the government, which prepared them by degrees for submission to terms of peace .. And while on this subject, the overflowings of grateful feelings, on behalf of myself and fellow prisoners, compel me to add a tribute of public thanks to that amiable and humane female, who, though living at a distance of two miles from our prison, without any means of conveyance, and very feeble in health, forgot her own comfort and infirmity, and almost every day visited us, sought out and administered to our wants and contributed in every way to alleviate our misery.” She went to be with the Lord not too long after the prison time of her husband. The world looks at a woman like this with shaking heads and wonders what makes her tick. We know. She knew her Savior and His great love. The anniversary of her birth is approaching, October 24th. Why not take a little time on that day and thank God for faithful women like Ann and pray He raises up more. And when next you hear about the Myanmar military junta persecuting the Buddhist priests, remember in your prayers the Karen Christians who are also persecuted. As they did it to the wood when it was green so when it is dry. l. Because Jewish leaders had planned to kill Him. John 11:45-54. 2. Because warned by God. Matt. 2:9-12. 3. Because Jews sought to destroy Him. Acts 23:12-24. 4. On His account. Matt. 10:16-22. 5. Because of the want of faith. Matt. 13:58. 6. Because John had told Herod it was unlawful for him to live with her. Mark 6:17-19. 7. Because of little faith. Matt. 14:30,31. 8. Afraid they would faint on the way. Matt. 15:32. 9. Because he savored not the things of God. Matt. 16:21-23. 10.To get money with which to pay taxes. Matt. 24:27. 11.Because he loved their nation and had built a synagog. Luke 7:1-5. 12.Saw He was already dead, prophecy fulfilled. John 19:31-37. 13.Because He had healed on the Sabbath and called God His Father. John 5:15-18. 14.Because He wanted to stay at his house. Luke 19:5. 15.To avoid being ceremonially defiled. John 18:28.